I do love Coconut Macaroons ever since my dear sister made it when I was in the Philippines. 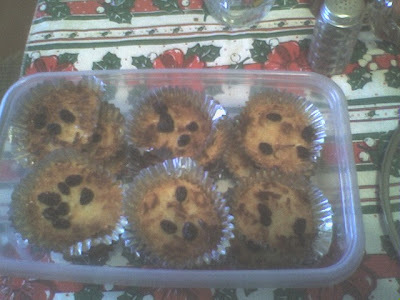 I missed my sister's Coconut Macaroons so I search online for the recipe and voolah! It was pretty much easy. I think this was the 3rd time that I made this yummy sweet coconut macaroons. And I am enjoying the whole thing, I also shared it to my in laws and my husband's friends they love it as well. What's the black thing on top of your macaroons? Raisins?